Michele Byrne is recognized for her figurative plein air work. She lives and works in Reading, Pennsylvania. However, she travels extensively, painting in various locations including, Manhattan, Paris, California, Colorado and Key West, Florida. Byrne was a Faculty Demonstrator for the Annual Plein Air Convention in Monterey, CA in April of 2014. Byrne has won numerous awards in her plein air and studio work including most recently People’s Choice Award and Third Place at the Forgotten Coast Quick Draw and 2nd Prize in the Urban Life Exhibition at the Salmagundi Club in New York in February of 2015. To learn more about Michele Byrne, visit her website. Hai-Ou Hou was born in Bejing where she received her B.F.A. from Central Institute of Fine Art and Design. She earned her M.F.A. from Towson State University. She taught at the Hubei Fine Art Institute, China. She is currently owner and director of the Chesapeake Fine Art Studio. 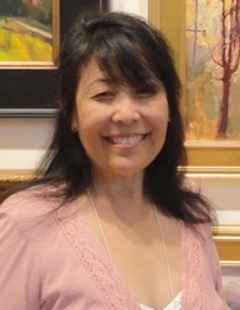 Hai-Ou has developed a strong expressive style which she teaches at Chesapeake Fine Art Studio weekly. She offers instruction in workshops throughout the country at all levels in plein air, figurative, still-life, portraiture, and quick-draw technique. Hai-Ou is a Signature Member of both the Mid-Atlantic Plein Air Painters' Association and the American Impressionist Society. She is also a member of the Portrait Society of America and the Washington Society of Landscape Painters. Her work is widely represented in commerical galleries and is included in many public and private collections throughout the U.S. and abroad. She has received numerous awards and honors through participation in art events and exhibitions. ​To learn more about Hai-Ou Hou, visit her website. ​David Diaz lives in Annapolis, MD and is primarily a plein air artist working in oil and pastels with a focus on regional subjects. He received formal training in the public schools of Western Maryland and Frostburg State University; as well as University of Maryland, Towson and Catholic University. He is an award-winning artist and educator who has taught art in Allegany County and Anne Arundel County in Maryland, and has worked with students from elementary through middle school, as well as adult education and private lessons. 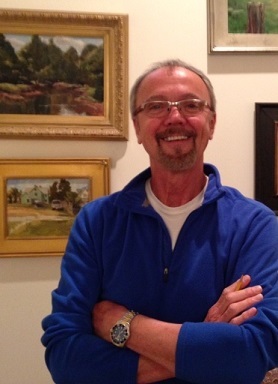 His work is in collections in the United States, Europe, and Asia, and is featured in “100 Plein Air Painters of the Mid-Atlantic”, a 2014 book by Gary Pendleton. He is the Board President at the Maryland Federation of Art and co-chairs the MFA Exhibition Committee, and works with installations at Quiet Waters art galleries. He is also a Board member with the Mid-Atlantic Plein Air Painters Association and chairs the MAPAPA Exhibition Committee. To learn more about David Diaz, visit his website.